Rarely does a a few months go by without a CAF, or former CAF member getting ambushed, shot, dropped off in the streets, that they formerly walked with ease and strength. Sometimes they are betrayed by their own, as in the case of 'El Sailor', found beaten to death in a bag, with a banner suggesting he was killed by Los Aquiles. 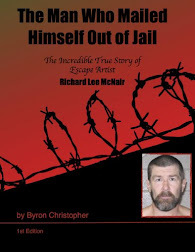 Later information suggests he was killed by his own cell of kidnappers for not sharing the profits. 'El Illames' was gunned down, surviving the attack, outside 'Fusion 40' a Japanese restaurant he owned, Llames left the hospital, alive, for now. A brother of Luis Toscano, 'El Mono' himself executed while eating tacos in La Mesa last year, setting off a wave of violence in Zona Norte. His brother was shot multiple times riding in a free taxi, onlookers took pictures as he bled on the sidewalk. 'El Quicho', brother of Melvin Gutierez, 'El Melvin', one of Fernando Sanchez Arellano's lieutenants was killed at an OXXO last year. Carlos Jhared Rodriguez, allegedly targeted by Los Erres, and 'El Allido', was ambushed as he dined with his wife inVerde Y Crema, an upscale restaurant, in June 2014. The latest is Jose Alberto Guerreo Gomez, who led a CAF enforcement cell, similar to Los Pallios. Gomez was with Raydel Lopez Uriarte 'El Muletas', and Jose Alberto Cervantes Nieto, of Expolosion Nortena, at Mariscos Godoy in Tijuana, in November 2007. Muletas notoriously escaped, dressed as a municipal police officer, in the company of 'El Gil', a Teo right hand, former municipal, the incident was documented in several corridos. Gomez was detained, sent to Mexico City, released, then re arrested in Jalisco, then released again, sometime after 2008. Those were the end of times in Tijuana, the internal structure of CAF was slipping away, and into the bloody war that would change the landscape of narco politics forever in the city. In fall 2007 whisphers persisted about the young Arellano Felix nephew, of which there were no pictures, or even a name, as Javier Francisco Arellano Felix signed a plea agreement to avoid the death penalty, and has it turned out, avoid a life sentence as well, with his cooperation. The first of the Heredia brothers, Arturo Villareal Heredia was sentenced to 30 years in prison, for his role as Javier's right hand. Gomez was near a private school in the Los Lagos gated neighborhood, when he was ambushed. It is unknown how he survived during his years, or what he currently worked in, but he managed to avoid a fate that was perhaps a longtime coming. The circumstances of Gomez death would clearly indicate a targeted killing. 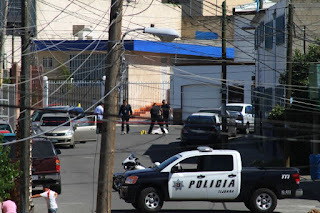 One of many, as killings continually rise in Tijuana, in the throes of conflict between at least three different groups, and dozens of narco retail cells in the city. Whats going on in CD. Juarez Chihuahua.? Any word? I heard its going to get ugly again. kill by the sword ... don't these idiots know they are going to die the same way?, betrayed by their "friends", hunted by the marines or their enemies? Really don't understand human idiocy. What does Benjamin, Eduardo, n Javier think about this? 1:02 all the AFOS say now is give me freedom but spare me death, the CAF BECAME DECAF, except for my one and only octogenarian girlfriend, with movie star looks, la eNe. I wonder would tijuano say ?? Kecho not quicho. Rest in peace. Life is based on choices either right or wrong. Its up to every individual to decide. Also for those people commenting about this lifestyle or its participants you chose to log in this site. Thank you BB for your reporting.